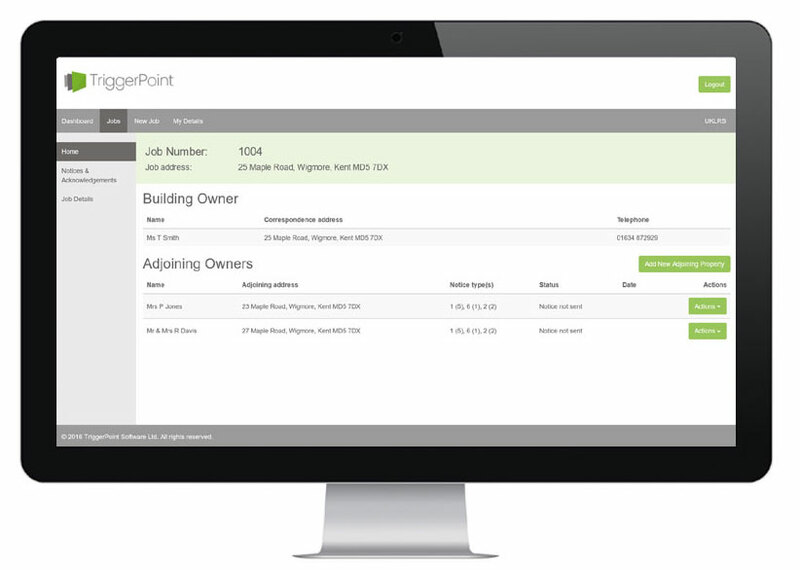 TriggerPoint Party Wall Software enables super fast completion of Party Wall documentation. Input is minimized and accuracy maximised using one single entry of building & owner details. Single entry will populate details required across a wide spectrum of notices, acknowledgements, awards, covering letters and other commonly used documents. Notices and acknowledgements conform with RICS, P&T & FPWS guidance to comply with Party Wall etc. Act 1996. The logical notice and award selection process allows for a full description of the works. Smart options ensure precise wording and comprehensive details within all documents. Flexibility to edit with any subjective facts and detail. Minimise the multiple adjoining owner process to minutes – not hours. At-a-glance workflow dashboard with easy next-step actions.